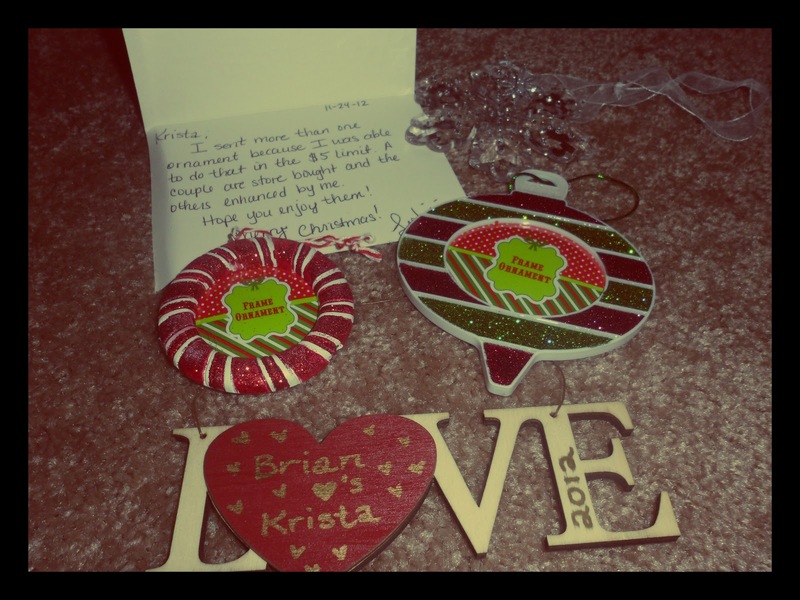 The Moy Life: Christmas Ornament Blog Swap! 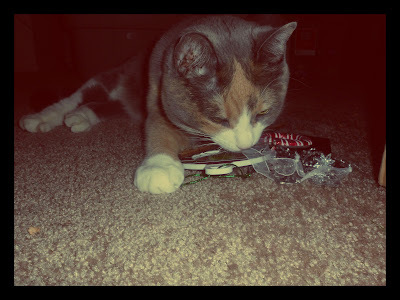 I have recently had the opportunity to participate in my first ever blog swap and it was a great experience! 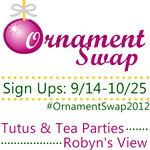 The blog swap, Christmas Ornament Swap, was held by Tutus and Tea Parties and I got paired with Leslie from My Kitchen is Open. She is such a sweet person and I am so glad I got paired with her. If you are ever in need of any recipes, definitely check out her blog. She cooks and bakes up some yummy treats! And she is also absolutely wonderful because she got me not 1... but 4! ornaments, all under the $5 limit too. She's definitely creative. They are beautiful and hang very nicely on my tree. Can't wait to add pictures to those two. And even Miss Lily approved! And As for Leslie's ornament, I made serious attempts to DImyself. 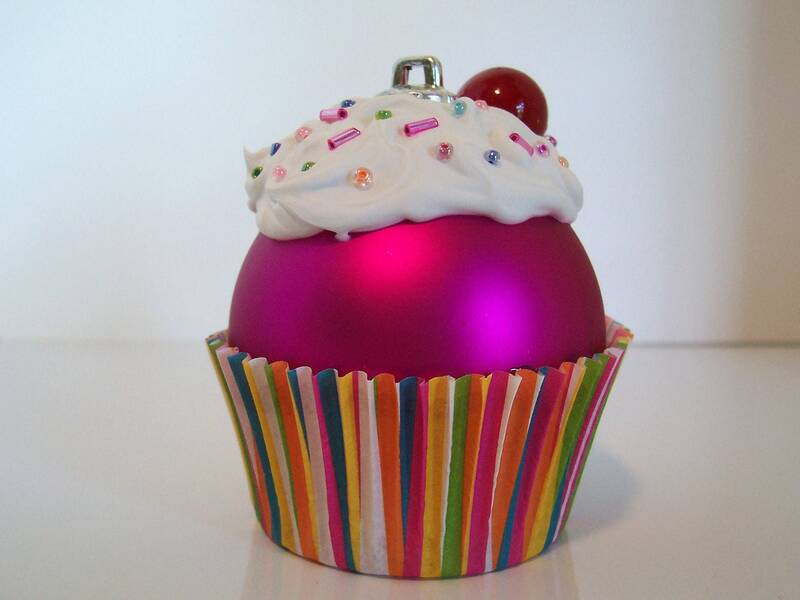 Since she is a cooker and a baker, I thought the cupcake ornament I saw on Pinterest was perfect. Looked easy enough for me to attempt. So yes, needless to say I turned to Etsy to help a girl out and found this cute ornament that fitted what I wanted to get her perfectly. How cute is this?! So there you have it folks. My first blog swap was a success and I can't wait to participate in more!